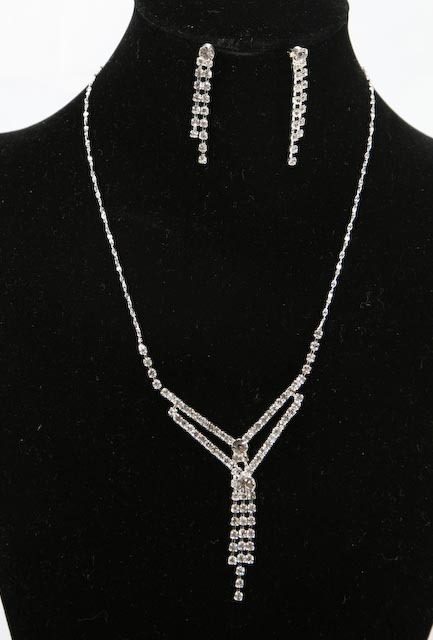 This jewelry set includes glamorous crystal necklace, matching bracelet and pierced earrings. 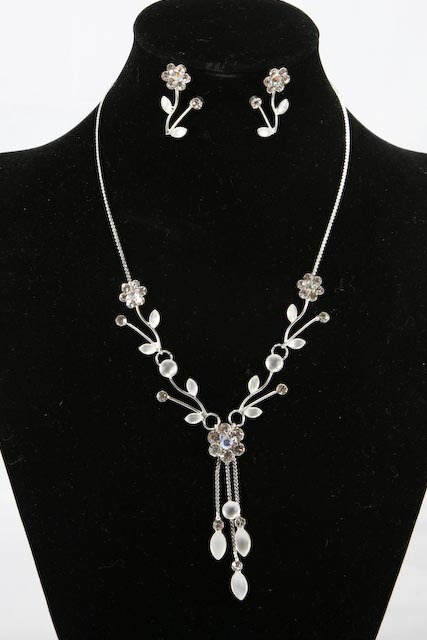 Necklace Set for weddings, proms, parties, pageants, first communion, or other special occasions. Size: Necklace is adjustable from 13" to 18" long. Matching earrings are about 1" long. 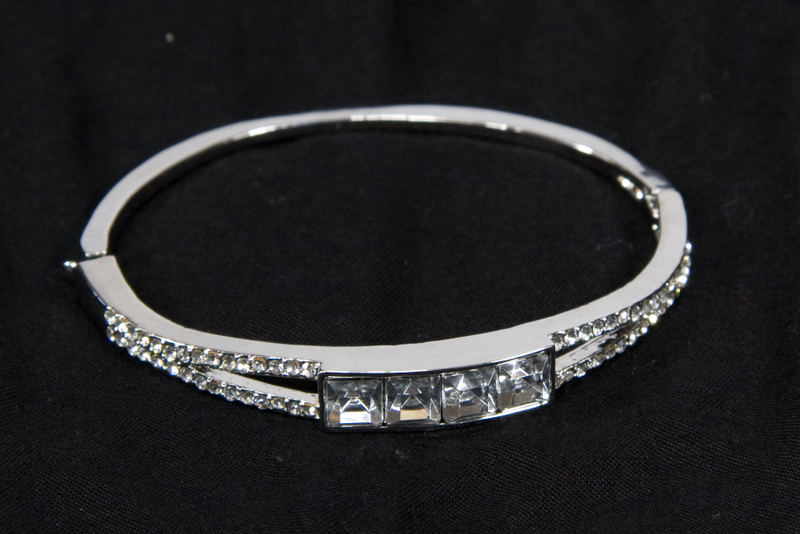 It's a beautiful and stunning jewelry set for that special moment! 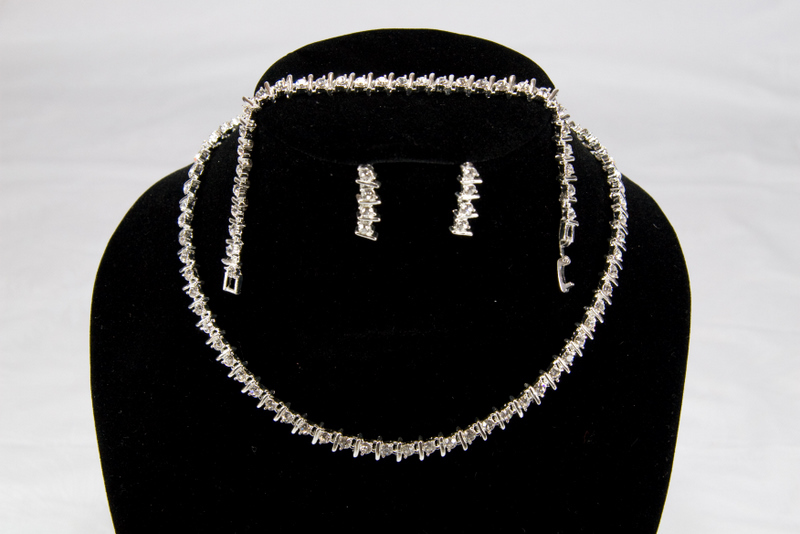 This Jewelry Set is not made by swarovski but it's made with swarovski crystals.